This is the cover of the edition I original owned. Have you ever started reading a book, but for whatever reason set it aside—and possibly in the process lost track of your copy—only to pick it up to read years later? Years ago—likely in the mid1990s—I picked up a vampire book. I started reading it, but (j’en sais quoi) I really don’t remember why I set it aside. Subsequently I lost track of my copy. Either I gave it away, donated it to the local library, or whatever. I just couldn’t find it when, a decade later, I decided I wanted to read it. You see, there was something about this particular vampire book that stayed with me, held my interest or intrigued my curiosity. That, and I was starting to branch out into reading more horror and fantasy titles. And I remembered that one vampire book that got away. Seriously that’s it. So what hope was there of ever tracking it down? Then one day, in the local Barnes & Noble, I happened to see an end-cap display of horror/paranormal titles. One of the books had a cover that suggested maybe, just maybe, it might be the book. I picked it up and read the description. So far so good. I flipped through the first few pages. Behold! A character named Cat was in the story. This was the book! This time, I read the whole story, and thoroughly enjoyed it. The cover of the book I rediscovered. Jack Crow heads up this team of vampire hunters, and they are about to take out a nest of vampires in the opening pages. It’s a mission that goes relatively well. Later, the team celebrates in a motel, and that’s when the story takes a bad turn. The leader wasn’t in the nest Crow’s team destroyed. And he hunted the team down. Slaughtering most of them in the motel room before Jack and Cat manage to escape, although Jack is injured in the process. Originally, that was about as far as I had read the first time. Why I couldn’t remember Crow’s name is beyond me. I guess, at the time, I thought a man named Cat was unusual and particularly memorable. And well, I don’t know why I thought the story was set farther west than Indiana. Continuing with the story, turns out that Crow and his team were agents for the Pope. Crow, along with Cat, will form a new team, and they will need to confront the vampire leader, the devious fiend, that got away. This leader wants Jack Crow’s blood, and Crow wants revenge for his lost teammates. There’s a sense of authenticity about Steakley’s Vampires. Should such creatures exist at the edges of humanity, Crow and company and what they do seems eminently plausible. And this “realism” makes for an excellent read. This book isn’t like most recent urban paranormal stories that cross into fantasy. It’s grittier and more akin to straight horror fiction, though in many ways its like a really good action thriller. I’m very glad I was able to track down this “lost story” and finally read it. It was worth the search. 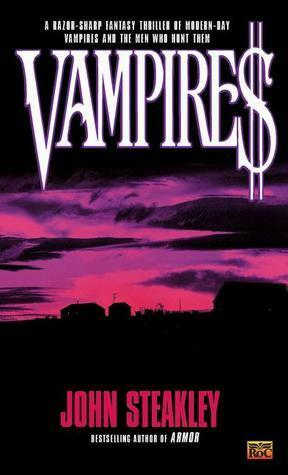 And as an addendum, I should mention that this 1990 novel was the basis for the 1998 film, John Carpenter’s Vampires. Which explains why I thought the film’s plot seemed familiar, but at the time, didn’t make the connection to Steakley’s book. « Dorothy L. Sayers’ Whose Body? 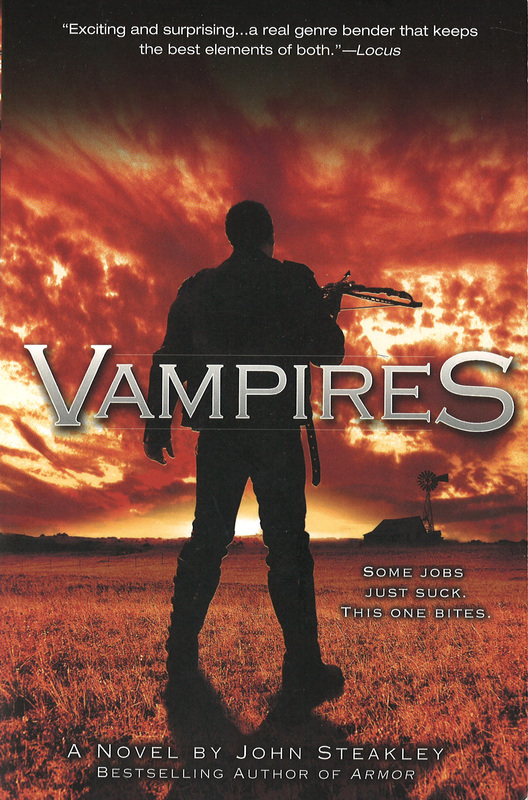 I should also add that this novel became the basis for the 1998 film, John Carpenter’s Vampires, starring James Woods. A few details were changed for the movie of course. For instance, Cat was renamed Montoya (played by Daniel Baldwin). And the film spawned two sequels: Vampires: Los Muertos (2002) and Vampires: The Turning (2005). Strangely, I’m sure I saw the 1998 movie before re-discovering the book, but never made the connection until much later.